Cowslips are one of those Spring plants, just like wild primroses, that signal the start of Spring and better things to come. Their cheery tall stems of yellow bell-shaped flowers add a natural look to this formerly widespread wildflower. 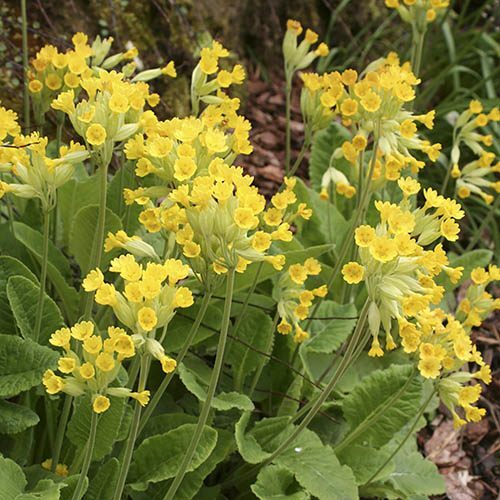 Produced from wildflower seed, they are the true old-fashioned cowslips, and not modern hybrids. They work well in mixed seasonal planters or dotted round mixed boerders or even lawn plantings, as grassland meadows is their native habitat.